This Smudge Dish is the perfect palo santo and sage burner bowl, to start your smudging ritual! 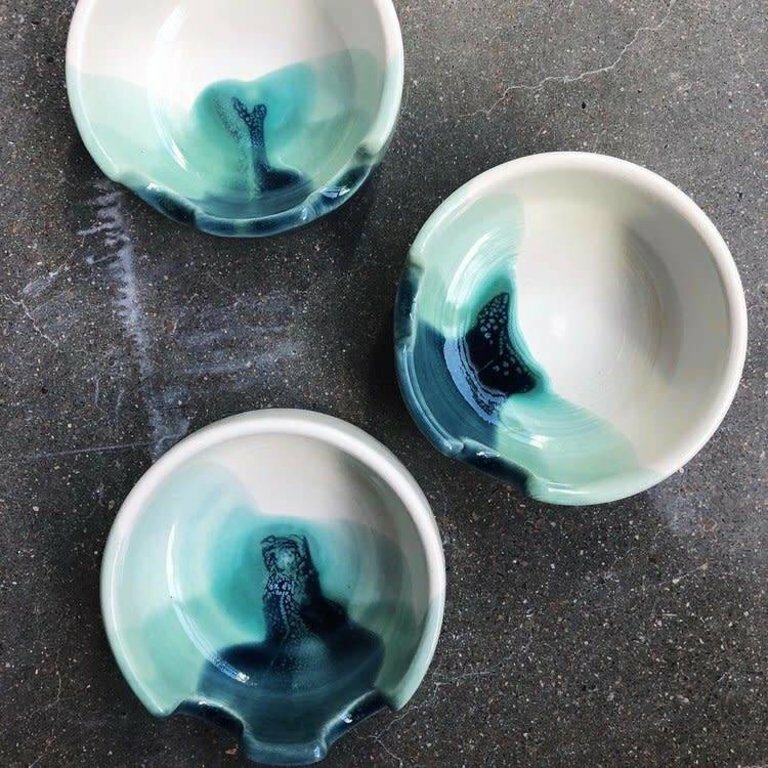 Each bowl is functionally designed with a 1.25” high wall, to keep all the messy, burning pieces (that also bring abundance and good fortune!) in the bowl, and the purifying goodness in the air. Made from white porcelain clay, and dipped in a combination of blue, aqua, and white glazes.